I’ve been using gift certificates in my practice for years! And they have been an invaluable source of new patient acquisition. Selling gift certificates to your patients can not only be a source of immediate income, but it will attract qualified new patients into your practice. 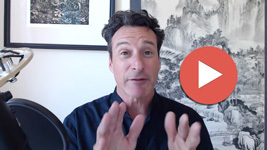 It’s a good time to start thinking about how you’re going to promote your practice. Use them throughout the year especially around the holidays and beyond. Begin where you know best – Start with your family and friends. When they are getting ready to prepare their gift lists, ask them to think about who might enjoy a gift certificate for your services. Let them know if the recipients don’t schedule within the year, buyers can use the gift certificates themselves. Don’t forget to offer them package deals if they buy a quantity. Promote packages to both your active and inactive patients. Offer them a free treatment for themselves if they buy more than two or three. Choose what works best for you in your clinic. 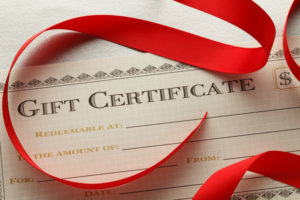 Think about who may need your services and offer them a gift certificate. Think about your old friends, coworkers and even your neighbors. Offer them a free mini-stress reduction gift certificate with the option to upgrade for a full treatment, at a fee you can be comfortable with. Trade with neighboring businesses. Walk or drive around your community and take note of all the businesses within a five-mile radius. Exchange gift certificates with them for their services in return. You get the idea. Give them gift certificates that offer a free mini-stress reduction treatment in exchange for something they are willing to offer. In this way, you can share other great gifts with your patients, spread the word of other local businesses and network while you are at it! Think about other great ways and opportunities to get the word out about acupuncture and your services. Try different techniques and ideas to promote your practice through Gift Certificates. It’s true, not all of your ideas will work, but you will find sooner than later a few ways that will work, time and time again.